I take pride in my advanced detective skills, and I apply them to almost everything! For example, figuring out who ate a sticky snack on the couch, who wore muddy shoes in the house, and most importantly, where is the entry point of the army of ants invading our house? When the ants invaded, I figured out how to get rid of ants naturally. And here’s how we did it! Having ants everywhere outdoors doesn’t bother me. But when I see them trailing along the kitchen countertops I spring into action. Therefore, the past two spring/summer seasons we have successfully rid our house of two different types of ants. 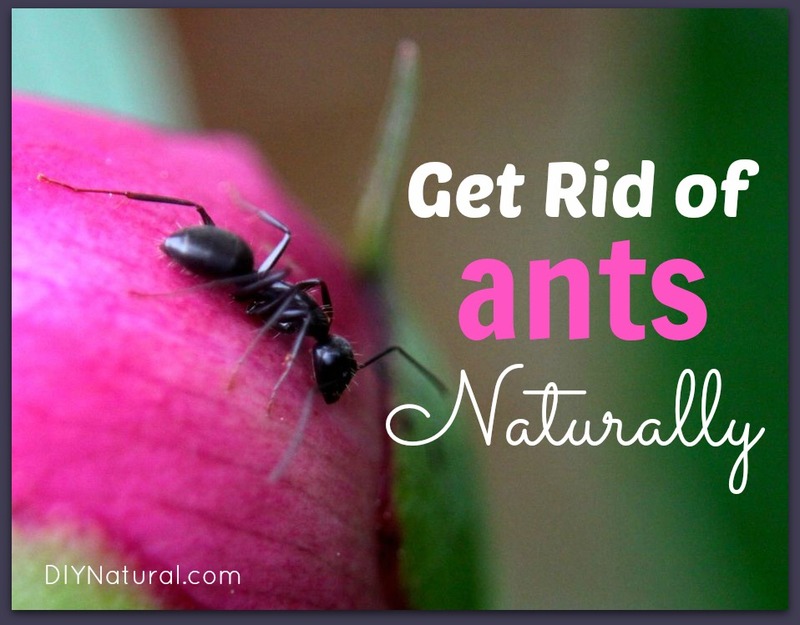 Also, we decided it was time to show you how to get rid of ants naturally! When learning how to get rid of ants naturally, detective work is an integral part of eradicating them. Furthermore, finding the most effective treatment for ants depends on the specific type you have invading your house. To explain, each species has different behaviors, preferences in food, and eradication solutions. Some ants are specific to the region, so we only have experience dealing with certain types. So in this article, we’ll cover remedies for odorous house ants and carpenter ants. In addition, read the end of the article for tips that may work on other species. Finally, for help identifying these ants, see the images here or here. You will find these ants anywhere you have sweets laying around. Odorous house ants will leave a chemical pheromone trail wherever they travel. If you kill them, other ants will simply follow the trail and show up in the same places. For this reason, kill the entire colony. Borax will kill odorous house ants, and powdered sugar will attract them. Make a homemade ant bait by thoroughly mixing one part borax with 3 parts powdered sugar. Fill tiny containers (such as bottle caps) with this homemade ant bait and place them as close to the place where you suspect ants are entering your house. If you see trails of ants, place small containers of the mixture directly in their path. This prevents most of them from traveling all around your house if they have easy access to this sugary treat. Resist the urge to kill all the ants you see. They will carry the bait back to the nest, unable to differentiate between the borax and sugar, and the borax particles will eventually kill the entire colony. The more homemade ant bait carried back to the colony, the fewer ants you will have. Practicing good sanitation practices is one of the best ways to make your home less attractive to ants. Keep spills, crumbs, and garbage cleaned up in the kitchen. Be sure to store all food – especially sweets – in tightly sealed containers or zip-top bags. They will get into things like jars of honey that have drips on the side or around the lid, so sealing the jar in a zip-top bag will protect it. 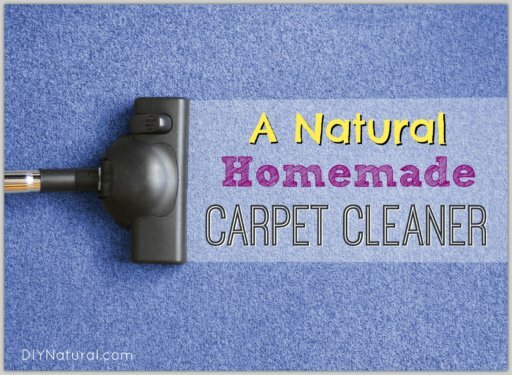 The ants will choose more desirable bait (like spilled soda or cookie crumbs) over this natural bait, so learning how to get rid of ants naturally means keeping your place clean! You will find Carpenter ants around homes in wooded areas. They don’t carry the homemade ant bait back to their nests, so you have to kill them at the source. This means you have to do a little detective work to find the nest(s). Don’t bother using the borax/sugar bait – they’ll just feed on it like little piggies at a trough. They will typically live outdoors very close to the house, and eventually, enter your house in search of food and water. Carpenter ants live in wood and tunnel through it. The best clue to look for is small piles of very fine sawdust – the remains of the wood they have chewed through. You will typically find carpenter ant nests in moist wood in foundations, decks, woodpiles near your house, trees, gaps between boards, etc. In order to get rid of a colony of carpenter ants, DE must be injected directly into the nest. We used a medicine dropper to squirt dry DE into cracks where we found them nesting. You can also use a bulb duster gadget to spray it into cracks or holes. And remember, DE must be reapplied after it rains. You can also mix the Diatomaceous Earth powder with water and apply using a spray bottle (either a small bottle or the pump action yard sprayers). Simply mix 2 Tbsp of powder per quart of water and spray wherever you have ant problems. Some ants dislike baby powder. Sprinkle around the perimeter of the house or indoors where ants are entering your house. Note: we also have a great article on how to get rid of aphids naturally. If you’re like me and don’t think “kill, kill, kill” at the merest mention of ants—-there’s a non-toxic (for humans and pets), safe spray that’s easy to make and easy to use. I make up small batches during “ant season” and ant spray trails and points of entry (if I can find any points of entry). THE BEST way to keep ants out of your kitchen (and other rooms) is to make your kitchen/rooms unattractive to them. Police yourself and your family: Don’t leave crumbs on the counters and table. Keep sugary things in glass or tin containers or in the refrigerator. Do your dishes. Don’t leave dishes or utensils with foodie bits on them lying around to attract ants. We don’t put food into our trash. We compost. We have a kitchen scraps bucket in my house. We put the bucket in a bowl, add water to make a moat. When you see a lone “scout” ant on your counters or table—-brush him off and away before he can double back to alert his army to some sweet or salty “treasure” you have left out for him and his buddies. Spray where he was ambling around. This spray will make your environs smell minty. It will smell a bit like vodka, too, but not for long. It is completely safe to ingest, but MINTY and you may want to add a twist of lemon.? I keep thinking of more to say with the Harris Roach Tablets. I said put them around the house. I didn’t mean outside the house. Inside. And everywhere. There are many many in a box. Will cornmeal kill the fireants? if it does I will need to buy it 25 pounds at a time. Betsy, what a fantastic article! Chock full of many tips, and even more from your faithful followers (a great bunch!). I really like your writing style! Thanks for your help with the ants! If it helps, they’re gone — at least for now. Just tried the borax/powdered sugar remedy. First, I sprayed the first wave with vinegar and wiped them away. Then I wiped down the counters with vinegar. It was difficult but I allowed a few lucky ones to escape. I figured out where they were coming in and dusted the area with the mix, and dusted some more along the counter/backsplash. A few minutes later there was a swarm of them. About 15 minutes later only a few stragglers. I’m hoping that deadly dine and dash did the trick! Many years ago when I was a very small child, the house we lived in had the small sugar ants. My mom tried all sorts of things but nothing worked. She finally just started smashing them and left them lying around. The next day–not an ant to be found. The live ones came and took the dead ones out and never came back. Fast forward about 20 years–I was living in an old house made into several apartments. One day I came home and there were carpenter ants everywhere. They had made a line across my living room floor to the kitchen and back. I remembered what my mom had done so I starting smashing the ants and leaving them. Really gross as these were pretty large ants. Was really amazing as I sat there and watched the live ants come and carry out the dead ones. By morning there wasn’t an ant to be found. Never had problems again while I lived there. Well you’re lucky, I’ve been killing them ever since I found the hole that the Carpenter Ants created. I’ve seen the bodies disappear, but no ants have been going away. They’re just coming in and out to get food without getting killed. I think it had to do something with the area you live I guess, but idk. Hey! I’m a 12 year old girl, and I know I shouldn’t be on here but my parents doesn’t speak English, only my siblings and I can (Please don’t hate on me) Okay, the main problem is that my bedroom, kitchen, and bathroom all have like ants. And I know because of all the food we have, but there are holes and cracks where the ants come from. I think they’re Carpenter Ants because when I go sleep, I can hear like tapping and something scratching off inside the wall. My bedroom is right next to the bathroom so I think something is leaking. Please tell me the best idea to get rid of these ants asap! -Thanks! Carpenter ants like to make a home in rotted wood because it’s soft and easy to tunnel. Plus, they can eat fungus that grows on wet wood. If “something is leaking” the leak HAS TO BE FIXED and any ROTTED WOOD MUST BE TORN OUT – REMOVED, and be replaced with good wood if possible. Start by taking care of the problem that is making your home a good home for them. Diatomaceous earth can be used where they crawl to cause them to dehydrate, but it won’t work if you get it wet. Take care of the leak and rotted wood first thing. You know what? I just had an idea! These crazy black carpenter ants have found their way into my home. I was wondering what that saw dust was under my kitchen sink! I cleaned out what was under my sink and then sealed up on of the holes where I thought they were dumping it out from, in the middle. I used rubber glue and put a thin piece of wood over that hole. I waited, and in a couple of days, now they were using the holes around the pipe/faucets to dump the dust. So my idea is to mix some icing sugar with some diatomaceous earth, and then put it into a turkey baster that I don’t use, then blow that powder up into those holes. Then I’ll wait and see what happens. Thank you so much for all the great ideas! I have been fighting itty bitty ants and carpenter ants since moving here 5 years ago. Having house pets and grandchildren, I prefer NOT to use chemicals. I will definitely be putting some of your ideas to use and will update my post afterwards. Excellent tips here. Thank you very much. We have ants up here in Southern Ontario too. They emerge after the frost is out of the ground. I will definitely use one or two of these remedies. We have noticed an insect problem in our kitchen. It is good to know that a first step in extermination is identifying which kind of ants the intruders are. We will be focusing on keeping our doors shut and food away to prevent increased problems. Regarding the rat problem. Years ago I read to put out little dishes of cola so they drink it. They don’t have gastrointestinal system like a human, so they can’t burp. It is supposed to “explode” inside them causing them to die. No, not natural deterrent, but you need to get rid of the dirty rodent. Hi jamal! My ancestors used this technique for many centuries, much easy and cheap technique, it can also destroy the civilization of ants but beware of the super ants they are everywhere. We call this technique S.M.A.S.H smash them with anything hard. I just had the tiny ants move in. I mixed 50/50 cream of wheat and sugar, then sprinkled ginger along the baseboards. They left within 24 hours. I have used the cream of wheat and sugar before, but I think the ginger repelled them this time. A few of them snacked on some ginger and died. I use DE also for pest control. Mostly slugs!! Ugh they have tormented my garden. BUT be careful because it will also kill the good pest too such as earth worms, the man at the local greenhouse I go to told me that. So do not sprinkle all over your yard if you want nice green grass. The earthworms aid in aeration in your yard and garden. I just make a perimeter around my house and garden beds. OK I have become a new beekeeper and was told to place an old rug under hive stand to deter weeds from growing and covering the hive entrance. I have noticed ant attracted to the sugar water fed to the bees. The other say I lifted the rug and the ground was moving. I see black ants as well as winged ants and now exposed tunnels. I tried sprinkling cornmeal but that does not seem to be working. I am afraid to use DE for fear of harming the bees. Any ideas? I’m not a 100% but I don’t think it will hurt bees, I have boring bees very bad and try DE in desperation and it didn’t seem to stop them. But defiantly do research. Effort taking my advice. I’d feel horrible to harm your hive with bad information. I have had ants for months in my kitchen and bath. Yes, they come in for water as well as food. These looked like tiny sugar ants, and I have yet to figure out WHERE they are entering. (House was built poorly in 1945, and there are MANY ways to get in with bad foundation and entry areas everywhere). I finally found what I hope is a solution: borax and aspartame (originally created as a pesticide, but the makers figured they could make more money using it as a sugar substitute!) mixed to a watery paste. It seems to have helped the situation, but I’m certain that I have numerous nests under the house. We’ll see how long this works until another nest finds its way in. Also, I read recently that ant queens are smart: if they see their colony dying off, she will split the nest and raise another queen to ‘rule’ it. I had ants running round my kitchen and had tried everything to get rid of them. A friend told me to just throw a lemon behind the kitchen baseboard and leave it. I thought he was having a joke on me but I was desperate so I did what he said. This was 7 years ago and I’ve never had another ant in my kitchen. Get you a spray bottle and fill it with white vinegar. Spray your windowsills(not around the window, just the sills). The scent will evaporate in about an hour. Also spray around the pipe openings under your sink, bathroom included, if there is a place to spray. You can also spray around the baseboards throughout your kitchen, to include your doors. 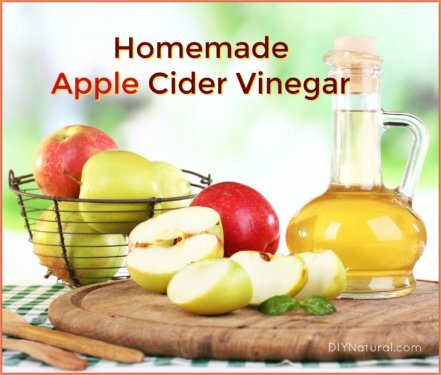 The vinegar will not harm your floors or your pets. I also use the vinegar to keep spiders away. I have done this for years. I only have to spray maybe once a month. It works!!!!! turmeric powder is also useful for the purpose. I need to get rid of rats. We live in the desert and rats are a constant problem. For whatever reason, the neighborhood rat population seems to have taken up residence at our house. We even have a cat (outside cat-I’m allergic) and the rats still come in our house. Any suggestions. We haven not dealt with rats before. Maybe someone else can chime in here??? Cats are good ratters and mousers ONLY if they’re hungry. A fat pet cat may catch a rodent for play if bored, but won’t solve a ‘rat problem’. Rats are very clever, too. If the cat isn’t a threat, they’ll walk right past, without a blink! If you have a Wal_Mart store near, if all the Wal-Marts are setup the same, go into the garden center where the bug sprays are, there is a product made by Bell and Howell. You plug it into your receptacle, it emits a sonic frequency wave, inaudible to human ears. It will help keep rats and roaches out of the house. I know, because I have been using them for years in my storage building, and in my husband’s shop, and he keeps grain in there for the horses. Recently I was able to find them again at Wal-Mart, so I bought a pkg. for the house. You get 3 to a pack, plug one in your receptacles in each room of your choice. The sound doesn’t affect dogs or cats, but it will affect guinea pigs, or small pets like that. They come in 4 to a pk. also, these have a plugin on them in case you don’t have any free places to plug stuff in. Price ranges from 16.88 to 19.88 at our wm. Why is DIY printing advice that advocates killing? This is extremely disturbing. Ants become a problem in the home because there is an attraction of some kind. Remove the attraction, don’t foul your home with use of pesticides. Use vinegar, mint, whatever NATURAL methods work to disrupt the pheromone trail(s), but don’t kill creatures just because you can. I am VERY disappointed in you, DIY. MiTmite9: Good grief, they are mean little insects that bite you. I have them in my front yard, & have walked throuh a bunch of them. A few seconds later I had them all over my legs, biting me & it hurt like the devil. No way am I going to let them stay there. I am going to try to kill every one of them. Those bites really hurt. I poured vinegar all over my legs. Had them on my arms, too. That didn’t work really well, so poured alcohol all over me. Atfer awhile the bites stopped hurting. I use a little dab of Ichthammol _labeled as “drawing salve” for horses_ obtained at a feed store_ on each fire ant, spider, bee, hornet, even mosquito bite for the past 70 years. 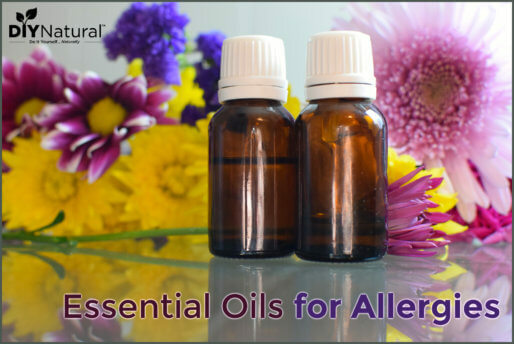 It IMMEDIATELY stops the pain, itching and helps the healing. It draws out splinters and boils also. Labeled for vet use. I’m concerned about your recommendation for food grade diatomaceous earth’ because it’s safe around children and pets’. Yes, it is safe to us who don’t have exo-skeletons, but my understanding has always been that it still needs to be used with caution, since the abrasive quality (which ultimately kills the insects) is unsafe to breathe in or get into eyes, children and pets not withstanding. Once it has been misted with water, it is a non-issue. do you have any advise to getting rid for house fly?? Put two pennies in a plastic bag and half fill it with water. Hang it where flies are. Soon they will be gone. Copper pennies. To keep ants out of pet bowls I use aluminum foil pans (k-mart $3.99 for 3). I line the outside of pan under the rim ledge with thick petroleum jelly, put the cat food bowls in the foil pan; no ants. Faye, I also coat the hanger that suspends my hummingbird feeders with petroleum jelly, it keeps the ants off. Until I tried it, the ants thought I was putting the necter out for them. It stays on there all year. I used a couple of gallons of soapy water (2-3 gallons of water mixed with about 1/4 cup Dawn dish soap) to eliminate the ant hill next to my house. It took a couple of applications but the ants are gone! My mother used to have a hard time with them and she started using powdered ginger around the perimeter. They do not like the ginger at all. Many years ago I had trouble with ants in the house, nothing I tried worked, so one day in frustration I poured boiling water on the nest. don’t remember how many kettles of water I used but it was a lot. The next day my daughter left for school then turned around and came back in. Mum you have to see this. On the patio the ants were placing the dead ones in blocks. I can’t remember how many rows of ants were in each block, maybe 20 or 30, each block was separated by a couple of inches from the next about 25 blocks. She made me promise not to do it again, she was really upset. Fortunately I’ve never had to as I have never seen an ant in the house since! Wished I’d had film in my camera as I didn’t think anyone would believe it. I use original skin so soft bath oil from AVON, it really works good combine two caps of skin so soft bath oil in any small spray bottle ,fill the rest with tap water and shake every time you use it spray counters anywhere you see Ants! I use Splenda. It kills them also. Since I learned this trick I don’t put that stuff in my body! Anyone have any thoughts about how to prevent the American Cockroaches, (aka Water Bugs, aka Palmetto bugs)from taking refuge from the heat in my home? They are beyond disgusting! Lisa, I use Ortho Home Pest Defense. I have found that if I spray the baseboards all the way around the inside of my house first, wait a few days to spray the base of the house outside, it pretty much takes care of the pests. If you spray the outside of the house first, you will run all the pests inside, and, that would be defeating the purpose. Wal-Mart has the best price on the Ortho. I like the new containers that has a continuos spray wand, with carpul tunnel, I can’t use the one with the spray nozzle, and the continuos spray lets you direct the spray right where it needs to go. I also spray it on the carpets to help with the fleas. I found a great website called http://www.earthclinic.com, there are some great remedies for just about anything, everything is natural remedies. One of the best remedies is for a natural flea killer and repellent for fleas on your pets, both inside and outside, using borax, peroxide, and water. I know it works, I’ve used it and I am still using it. For roaches Harris Roach Tablets in Ace Hardware, Walmart, some grocery stores. We live in Florida and used to have an exterminator for them but not anymore. Put these all around the house especially water sources and trash every3-4-6 months and they got rid of roaches completely but with the exterminator we still had some. Fantastic! Ants in my kitchen are the reason I came DIY Natural today and before I can even do a search there is a link to the blog post I’m looking for right on the front page. Getting ready to try your suggestions and those from the comments. You are a continual and unfailing resource for me! Thanks!! Aspartame will kill them and the ants that take it back to the nest will take care of the whole colony. Get a few packets at the next restaurant you visit. Free! Great tip! Thanks for sharing this Deb! Don’t use any of the artificial sweeteners around dogs, it will kill them. Something else to look for when preventing ants: water! I replaced a dishwasher recently and discovered the previous installation had a small leak. We cleaned up the dampness and replaced the dripping hose. Two days later I was telling my dad about how all of a sudden the ants were just gone. He told me that while they will go after sugars and such, what generally attracts those small ants into the home is moisture. Who knew! Yeah, great point. Some species will come looking for food AND water in your house, and others (like carpenter ants) actually like to nest in moist places. Thanks for bringing this up! Our food grade DE arrives today. We recently moved to the Mojave Desert area in Cali and there are more friggin ants here then back in TX! Every size and shape! White vinegar and instant grits used to do the job back in TX. Never had problems. Here, they laugh at it. I was using peppermint oil all around the inside and outside of the house, daily mind you! I ran out so while I ordered, I used some lemongrass oil. Big mistake! It actually attracted them in droves! I totally wigged out! I did full force 4 Thieves cleaner all over and that helped big time. I was spraying it every 30 minutes, that’s how bad it was. The peppermint oil finally arrived and it’s been keeping them at bay. The DE arrives today. Now, my Mr has treated both the front and back yards with Amdro. Once again, in TX, worked great. Here, meh. So I got online and the DE arrives today. None of the neighbors are into treating their yards and that is where all these creepy crawlers are coming from. So he is lining the entire perimeter of the yard, house, greenhouse (they’ve attacked that!) and the garage. We can’t get to their nests so this is what we have to do. Maybe I’m freaking out too much but I don’t want to walk outside in boots all the time. I’d like to wear flip flops and not get bit. So that’s my story. Yikes Karen! That sounds awful! I suppose we’re blessed to only have a few colonies of carpenter ants and odorous house ants around here…lol. I hope for your sanity’s sake (and for the sake of flip-flop wearing) that you get rid of those suckers with the DE! Good luck! Recently I had been unsuccessful at getting rid of tiny black ants and I was thinking about how dirty they must be so u washed everything down with strong Clorox water. Eureka it destroyed all of them. Try it kills two birds with one stone. THEY ARE GONE FILTH AND THE NONSENSE. Karen, I hear of people moving from Cali to Texas all the time in droves, but I’ve never ever heard of anybody moving to Cali from beloved Texas! Bless your heart – you’re stronger than I! But seriously, I want to thank you for reporting your experience with lemongrass oil. I was about to prepare a concoction which included it for a fly spray for my horse. Can you imagine if he chose the wrong spot to lie down?!? Mercy! I’m going to rethink the lemongrass… Thank you! Thanks soooo much for stating the difference in diotomaceous earths. One being food grade and the other for swimming pools. On another website I looked at months ago, it did not say anything about a difference. I went to a local swimming pool place and asked the gentleman for diotomaceous earth. He had the smarts to ask me what I was going to use it for. When I told him it was for insect control he told me the type he sells would be very bad for that application as it is highly toxic to children and pets. I was very relieved he had told me the difference. How dangerous that could have been! Great job, Betsy! I used corn meal once and they were gone. I don’t know if it kills them, but I have found cayenne pepper will deter them. Just sprinkle it where the entry point is (inside & outside). If you clean, it naturally will disappear so just do it again. I have a two year old & a one year old (with a puppy) they appear to be fine around it. I’m just waiting for one of them to decide they want to try it like candy. I just need to find a deterrent for little black beetles. Yes, talcum powder. Plain ‘ol baby powder; just make sure it has actual talc in it. It’s more than simply disliking it, they carry it back to the next and it stops the eggs from opening. And ants crossing it stop to clean themselves to death; it clogs their antennae. Cool! Thanks for the extra information on the talcum powder remedy! Any ideas of killing fire ants? I killed fire ant hills by pouring lamp oil down it and dropping a match. Stand back, though, ’cause they come pouring out of there like it’s Armageddon. Because it is. You just don’t want to be in their path. And it’s not earth friendly: I was just really angry and well, taking out my aggression which is not good but hey, I’m a redhead and was going through a divorce. Hahahaha Susi Matthews hahaha that was funny. Oh well. You did your best. It’s forgivable. Susi, every word of your reply made me grin ear to ear! Thanks! I needed that! My sister-in-law in Texas said she treats them with vinegar & baking soda. She said it melts them like acid. What are the measurements your sister uses. We are inundated with fire ants in Texas. My daughter had about 6 mounds in her backyard. I had just heard the idea of using a shovel to put some of the ants from one mound onto another mound. I tried it and it worked! A couple of days later they were all gone. That’s so cool…I’ve never heard of that before! Grits poured on the fire ant mound will get rid of them. They eat the grits and carry them into the nest as well for others to eat. It kills them for sure and is much cheaper and safer for animals than the “fire ant killer’ sold at the big box stores. One word of caution, don’t disturb the nest since they will just move and reappear elsewhere in the yard. The nest on these pest can be as much as four feet under the ground and the pile as high as a foot or more. for fire ant spread cornmeal or the cereal “grits” around the hill. the ants take it to the queen and eat it themselves. They do not digest it and soon die. My daughter uses it all the time and she is in Texas with a lot of fire ants. Thanks for this! I have found whole cloves to be excellent for getting rid of ants. I’ve placed them outdoors around the foundation, inside of cabinets and sprinkled in areas where ants have been or may try to enter. It worked even better than vinegar! We tried whole cloves and watched the ants crawl right over/around them! Do you know what type of ants you had Daniele? Great remedies! I’ll share with friends. What about Crazy Ants? I just learned about them. My sister who lives in Texas says they have them really bad out there. Crazy ants come from South America. They do not bite, but they destroy electronics; ie computers and iphones, etc. and cause transformers to blow. A quick google search “crazy ant invasion” will show all major news sources reports on them. Does anyone know anything that might kill or control them? Great timing again! We have had a ton of rain lately and now the ants are going crazy in my kitchen. I’ve tried several different things with little success, I’m hoping this will be the winner! Ha! Glad this article came at a good time for you. 🙂 Be sure to return and let us know what worked! Use plain white chalk around any place that might be an entry point. i have done little experiments with this, and they will not cross over that chalk line. We use fresh garlic to re locate them. It took a lot and we had to refresh it ut I didn’t end up killing them as I am a bit soppy. Lol. I’d like to know more about this method as I don’t like to kill anything either! Cleaning my kitchen with straight vinegar has worked well so far. Also stuffing fresh mint leaves in the cracks where I find them coming in! I too have kept them out by using fresh mint. This works for earwigs too. Gold bond medicated powder works really well too. The generic is just as good as the brand name. Baby powder/talc works great to rid of them. Diatomaceous Earth (DE). DE is completely natural and organic. It is made from tiny skeletal remains of algae-like plants. Please use care when using DE (Diatomaceous Earth) It will also kill earth worms, night crawlers, bees and beneficial insects. Use sparingly. It works well and lasts a very long time. Thank you for this Karen! Much appreciated! Hi, I use cornmeal. It is safe for pets and children, I just sprinkle it on ant hills or on the kitchen counter, and in a couple of days, no more ants. The ants cannot digest the cornmeal and die. I have heard of the cornmeal remedy. I’ll have to try it for myself! Thanks for commenting Liz! Does the cornmeal work for sugar ants also?